About a year ago, I sat down with some friends of mine in a virtual roundtable to speak on the benefits and downfalls of social media and blogging for Christians. What a great way to introduce Project TGM! These men who have experience with popularity in the blogging and social media world (with 4-to-5-digit Twitter followers and top 200 Christian blogs) joined me to discuss. It is my aim that this discussion would help you personally and the Church as a whole consider the Kingdom implications of blogging and social media. In an age when everyone has a presence on the internet, should Christians consider blogging? And if so, what should they aim for? What should we aim for? Generally speaking, the glory of God and the good of the church. That’s general, you say, so not so helpful. But to get more specific would require me to make rules that might not apply to all blogs. Some blogs are intended to be challenging for church leaders. 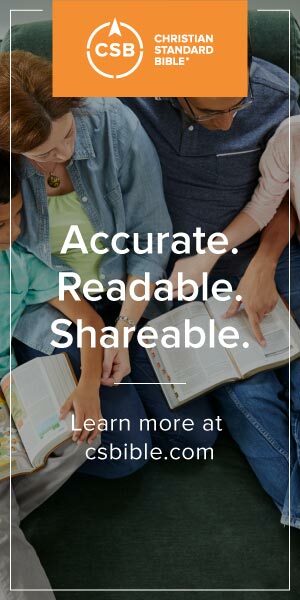 Other blogs try to provide helpful book reviews to people who want to read more. Some blogs are personal commentaries sprinkled with insights into the Christian life. Other blogs link to good content on the web. I think a Justin Taylor has a specific aim quite different than say, Tim Challies. Justin is more a curator of content, whereas Tim is a creator of content. The specific aims are different, but I think both guys are trying to serve the church in their own way. *BRANDON SMITH: The ultimate aim, as Trevin so perfectly stated is “the glory of God and the good of the church.” To me, this even includes the Christian who isn’t necessarily blogging about Christianity. If a Christian wants to start a sports blog, family blog, or random photos blog then they should do so with clear Biblical ethics and practice. There is a cultural myth that states that God is separate from our work, hobbies, etc. There is nothing further from the truth because God is the God of our ENTIRE lives, not just our “spiritual” life. With that in mind, whatever we do on a blog or social network should still reflect Christ and not place you below reproach. Are you perfect? No, and that isn’t my point. But, it goes without saying that blogging in a way that is sinful or causes your brothers/sisters to stumble is not wise. *JARED WILSON: I agree, and I really like Trevin’s emphasis on how the blog world is not a big deal. I encourage bloggers, especially those who are well-known to somewhat well-known, to have close friends who simply don’t care. They don’t read, aren’t interested, don’t care. I would encourage this extra especially to well-known Christian bloggers who pastor churches or have book deals or what-have-you. Surround yourself with people who are unimpressed by anything that happens online. Maybe find some who don’t even own a computer! *STEVE MCCOY: Blogging can be kind of whatever you want it to be. A Christian may want to start a blog in the hope of generating revenue for their kids’ college education by putting up good online deals for pots and pans. Whatever, have fun, make some cash. But I’m guessing you mean a “Christian blog” in which someone says God-stuff. Fair enough. First, as Trevin mentioned, aim for God’s glory and the blessing of others. Blogs, like everything else, are about loving God, neighbor, brother & sister, and enemy. I built my blog to gain relationships with like-minded church leaders and Christians. It includes other personal passions (family, music, photography), but ultimately I want it to be God-glorifying & human edifying. Tell your pastor about your blog for accountability. Or maybe find a trusted, knowledgeable friend who can challenge you when necessary on what you are writing. When I started my blog years ago and my best friend, Joe Thorn, started his (both of us younger pastors), we read everything each other wrote and talked regularly on the phone about content. We’d often have each other read what we wrote before we posted it to make sure we weren’t being idiots. I’m sure I made a lot of changes before posting things. Build in accountability. Second, aim at excellence. I’ve deleted more posts before posting them than I’ve posted. I’ve sat on posts for weeks because I just wasn’t writing clearly on an issue yet. Blogs get feedback, and you want to have thought things through well before feedback comes. One way to be excellent in your blogging is to developing your voice slowly by pointing to others a lot. There are people already out there probably saying it better than you can say it. I have a popular blog and I say things, but it’s best known for being the location of a massive page filled with Tim Keller resources. In an article from Fast Company, the assertion was made that social media (and Twitter in particular) is not an effective tool for influence due mainly to the short shelf life of status’ and massive amount of users. Can social media truly have a positive influence on Christianity, both locally and worldwide? *JARED WILSON: I may be a terrible person to ask this question, because I don’t spend much time thinking about how much influence social media has. I suppose if I were trying to be a professional blogger (or tweeter) or made a daily connection between my blogging/tweeting and promoting my writing, I would. But my basic reaction to the Fast Company appraisal of social media’s lack of influence is: okay. Obviously I am interested in some level of influence, or else I wouldn’t post my thoughts in public forums for others to read. But the context of thinking of social media as a “tool” to influence others — and here I think of self-appointed marketing gurus, some of the pastorpreneurial tribe, and anybody who obsessively monitors their stats and rankings — seems so strange to me. In the early days, it was easy to be a big blogger fish in a small blogging pond if you could be personable and interesting. But the emphasis back then was on conversation so much more than self-promotion or influence. Comment threads were where the magic happened. Now everybody’s too busy posting to discuss below the posts. You have to go to the really polarizing blogs to find dialogue in the comments, and even then it looks more like a flame war than a town square hashing-out. At most places where you find lots of comments, most of them are just one-shot “Good post; I agree” type stuff. It used to be a few bloggers, many readers/commenters. Now everybody blogs, the conversation has quelled, and the drive to distinguish one’s self can be very tempting. I suppose that Fast Company article may discourage some folks really bent on being “agents of change” (as I’ve seen some social media users refer to themselves). *STEVE MCCOY: Yes, no question. It’s just a tool for communication and relationships. Tweets pass away, but Twitterers remain. Each tweet I read impacts me, develops some aspect of my relationship with the author, etc. Couldn’t we be answering this same question about phone calls? For me social media isn’t about permanence of what is said but the permanence of those saying it. Jared is actually a good example for me on this. Over time following Jared on Twitter we interacted a bit but didn’t really know each other. Once he tweeted about an article he published on a certain site. I DM’d him to ask if we could have a phone conversation. I asked him about how his blog article got published as I was considering doing some publication of things I was writing. He gave some feedback and we hung up. Now he’s editing a book where I was able to submit a chapter. Twitter has created lasting, positive influence in these ways, though the individual tweets along the way may have dissolved into the ether. In other words, we can’t just stand back and listen to the hum of a million tweets with short shelf life. We have to focus in on thousands of relationships, and down to one relationship between two twitterers, and see what’s happening right now between them that’s going to last. *TREVIN WAX: Jared, you are right about the way the blog world has evolved in the past few years. Recently, I was talking with a popular blogger from a different evangelical stream (not Reformed – at all) and we were lamenting the way that the blogosphere has solidified people into very distinct camps. Years ago, YRR guys would comment over at Emerging Village, and vice versa. Since there were fewer blogs, there was more conversation that crossed over into other theological and philosophical camps. Now, with the proliferation of blogs, there is less of that conversation. Reformed-types read certain blogs. Church-growth guys read other blogs. Etc. There’s no longer much conversation between camps taking place, and when conversation does happen, it’s more like lobbing a grenade into someone else’s camp. Nobody is to blame for this development, for it’s only natural that readers would gravitate toward good blogs that serve the need of their particular tribe. But I think it’s good for our Christian witness if we hold firm theological convictions without succumbing to theological tribalism. *BRANDON SMITH: I don’t know that social media, Twitter in particular, can have a “lasting” influence like a book or piece of audio/video. At best, you can select a tweet as a favorite and save it. But eventually even that will fall into a jumbled list of tweets. Facebook, as far as I’ve seen, has even less options for saving a particular status. What social media can do is help you develop a relationship to the personality and mind of the particular tweeter, as Steve mentioned. Also, I may not always remember every tweet that I read, but I’m positive that the main ideas in many of the great Gospel tweets will stick with me. Many times, I will be asked a particular theological question or something else and I will answer but not necessarily remember where I read or heard the idea. Regardless, the knowledge impressed my mind in a way that I was able to repeat/teach it to someone else. Furthermore, that idea stuck in my heart and lifted my soul so much that it was ingrained in memory. In that way, social media can have a great long-term influence if used for edification. It brings me joy to think that God could have used 140 characters that I wrote to impact someone, even if they cannot cite me as the source. In the debate over “Christian Hollywood,” there are two sides: Those who believe that any sort of fame for a Christian is idolatrous or prideful and those who believe that fame is good if used as a platform for Jesus. Is fame something that Christians should avoid or embrace? *BRANDON SMITH: “Christian Hollywood” in and of itself is nothing new to the church. Men like Charles Spurgeon donned billboards in England and the duo of George Whitefield and John Wesley preached to packed churches and pastures. Today, however, it is definitely at its height. With media the way it is, Christians can become famous through books, podcasts, blogs, megachurches, and getting on CNN like John MacArthur, Rick Warren, and Al Mohler. We also see role models such as Tim Tebow rise up in pop culture representing Jesus, and representing Him well. In all of these examples, there has been an extremely positive impression left on Christianity as a whole, in my opinion. Of course, the flip side is watching the painful fall of pastors’ public ministries which no doubt fuels the detractors of Christians in the limelight. The question really comes down to motive. Joining “Christian Hollywood,” wherever you define that line to be, is something that should absolutely not be aimed for. Some of the most idolatrous people that I have met are those trying to get famous. It’s dangerous to even think of it as “fame;” I prefer the operative word “influence.” There is certainly nothing wrong with influence if your motives are to see the lost saved and the church edified. We are all sinners with the tendency to think we “deserve” something and we want to be recognized. This part of our insecure pride is probably unavoidable, but the temptation is manageable if you rely and lean on the grace of God alone. We could all go the Kirk Cameron Fireproof route and smash our computers or avoid technology like the Amish, but I think it’s much more helpful to pray and beg the Spirit to break our egos. In relation to blogging, Twitter, Facebook, etc., I think Jared made a great admission in an earlier question when he stated, “Obviously I am interested in some level of influence, or else I wouldn’t post my thoughts in public forums for others to read.” If you own a blog or frequently post on social networking sites, then the chances are that you desire to be heard. I don’t think that this desire should be demonized, but you should be sensitive to what is driving this desire. Is it to be the next John Piper and see your name on books, or is it to use your God-given writing talents or theological insights to see the Kingdom advanced? I always remind myself of this: God has given me X number of blog readers, Twitter followers, Facebook friends, and other contacts in order to glorify Him and fulfill the Great Commission in whatever small or large way He has granted me to do so. I would be remiss to prostitute His gifts for my own gain. *TREVIN WAX: Brandon, I agree that there is nothing inherently evil in thinking you have something valuable to say. Everyone who ever preaches or teaches could be accused of pride if that were the case. Dave Harvey’s Rescuing Ambition has been helpful to me in thinking through the ways that ambition can be harnessed for the glory of God. Yet, I must admit that however much we try, even our best motives are tainted by sin. If we think they aren’t, we deceive ourselves. So blogging (like teaching, preaching, writing, etc.) must take place within a context of continual repentance, with the added hope of stewarding wisely whatever amount of influence God gives us. *STEVE MCCOY: I think it’s complicated. Some famous Christians are shaming Christ and others are making Him known. Some are getting rich off books for selfish reasons and others are providing resources that are changing lives. Fame seems to be associated with pride, yet some of the famous Christians who have influenced me most are known because they are generous and humble and speak with a sense of God and eternity. Brandon mentioned motives and influence. A few years ago I heard John MacArthur say something in a 9 Marks (Mark Dever) interview that, I think, puts the desire for influence under the best motives. MacArthur said, “I’ve concentrated on the depth of my ministry and God’s taken care of the breadth of it.” Sounds good to me. *JARED WILSON: I hope this doesn’t sound like I’m dodging the question, but I’m not sure “avoid” or “embrace” are the only two options for Christians. I think we should just be faithful to the callings, private and public, that God puts before us. In that sense, fame is neutral. There were men of God who were famous in the land in Bible times. Fame is not something to embrace, of course, as a self-exalting pursuit, but neither something we are morally bound to avoid. In some cases, I’d think avoidance of exposure or recognition can be a form of false humility, a type of self-centeredness all its own. What are some practical ways that social media and blogging can benefit churches, church leaders, and their audience? *STEVE MCCOY: First thing, know your audience. What are local people using? What are people in your church using? Where I live Facebook is very popular. Twitter and blogging are not that big. If I spend my time trying to connect with people in a way they don’t want to connect, I’ll be spinning my wheels. Because Facebook is so widely used it can be a helpful tool for communication both as a church and individually. I actively use Facebook to connect to local people. I have several local friends and I keep up with their lives. We are Facebook friends with all our kids’ teachers, many of their friends’ parents, and so on. People are allowing us to know them better. Why not do that? For our church, Facebook gives us a place to connect in a place where they already go. We get to connect people to information about our church, invite them to events, and so on. Our church members use Facebook to invite people to events when our church puts out announcements on Facebook. I just had a non-attender message me on Facebook because he’s eager for our next Pub Talk (connection ministry). For me as a pastor I’ve used Twitter and blogging heavily, but mostly to connect to other church leaders outside my local area. I need like-minded friends in ministry. I can’t fully explain the benefit and blessing of being connecting to hundreds of church leaders through my blog and Twitter. It is truly a kind of community. It doesn’t replace true community, it compliments it and expands it. For example, I’m attending the Desiring God Pastors Conference in a month and I already know of a dozen other guys going and wanting to hang together. Every conference I’ve attended in the last 5-6 years has been a social media family reunion for me. I love and need these co-laborers in Christ. Because of these relationships through social media I’ve had hundreds of people praying for my wife, I’ve been provided more than $6,000 for a new van (without asking! ), been invited to speak at a conference, endorsed books, found guys to lead worship and fill my pulpit, and a bunch more. What I’ve just begun to see locally is crossover. Nearly all our visitors are from something web-based. Many are beginning to connect to use because they’ve found my personal blog or Twitter account. And it has been providing the opportunity to minister locally when my original intent was to connect with leaders internationally. Very thankful for that. *BRANDON SMITH: For me, my Twitter followers are almost entirely people who read my blog, are members in the PLNTD Network community that I used to admin., or are other pastors and leaders that I like to read and connect with. My Facebook, on the other hand, is about 50% of that group and 50% friends and family. My blog subscribers and readers are also rather balanced between people I know and do not know. *JARED WILSON: My experience mirrors Steve’s fairly closely except for his last statement on receiving visitors based on web-based information. I live in an area where very few adults are on social media. Many are on Facebook, particularly teenagers, but virtually no one’s on Twitter. There is a sizable minority here in rural Vermont who aren’t on the Internet or don’t even have a computer. And then among those over 30 who access the web, they are rarely on any kind of social media. But my context is not the norm, obviously. Most other areas of the country are more plugged in. My previous church in Nashville had its own Twitter account, and we used that, along with our Facebook page, to keep followers updated on events and information. It was rarely used for discussion or study or anything substantive, however. It was almost purely informational, and I think that’s the primary way churches can use social media. I may be in a minority on this view, but I am very averse to the idea of a church trying to engage something called community online. I’m not naive enough to think meaningful exchanges can’t happen — because I’ve been in some — but I’ve been blogging and plugged-in long enough to be realistic about the limitations of non-verbal, non-face-to-face ministry and discipleship. I find “internet campuses” ludicrous. And I worry about the rapid un-incarnation of church life that’s in the design of increased church leverage of social media. But like Steve, even though none of my church members are on Twitter, very few are on Facebook, and even fewer have a blog or website of any kind, I am edified as a church leader by the ongoing conversation on these sites with other pastors, writers, and leaders in other areas. *TREVIN WAX: I’ve found the same to be true in my experience. Social media gives us the opportunity to connect with people in our churches. And blogs allow us to connect with like-minded ministers who are laboring for the kingdom in other churches. I’m always encouraged when someone connects with me and mentions that they have been helped in some way by the blog. Blogging connects me to a network of other ministers striving to be faithful to the gospel, and the encouragement that comes from that connection is incalculable.